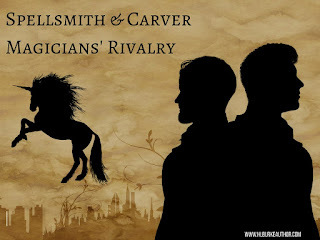 Just for fun, and in honor of Foxes and the soon to be release Spellsmith & Carver Audio Book (SQUEE), I'm making February Spellsmith & Carver Month. Join me in my Facebook Reader Group for on going games, discussions, and other Spellsmith & Carver related fun ... also, enter using the rafflecopter form below for a chance to win this adorable Fox Puppet and a Paperback of Book One ... or a three ebook set of the full series! An estranged son. An adopted heir. A magical attack that forces them to work together. The disappearance of Auric Spellsmith’s mother has strained his relationship with his father to the breaking point. Now, after five years away at the Magicians’ Academy, Auric returns home, determined to prove himself to his father and claim his birthright. Apprentice Jericho Carver has held Spellsmith Manor together in Auric’s absence. Now his master’s son is back, and if he can’t get rid of Auric, Jericho will forfeit his career and lose all hope of wooing the master’s enchanting daughter. Neither man intends to back down. But then Master Spellsmith vanishes into the mysterious Fey Lands. With Fey magic threatening the mortal realm, Auric and Jericho must work together to save the man they both see as father. Looks like a fun giveaway! 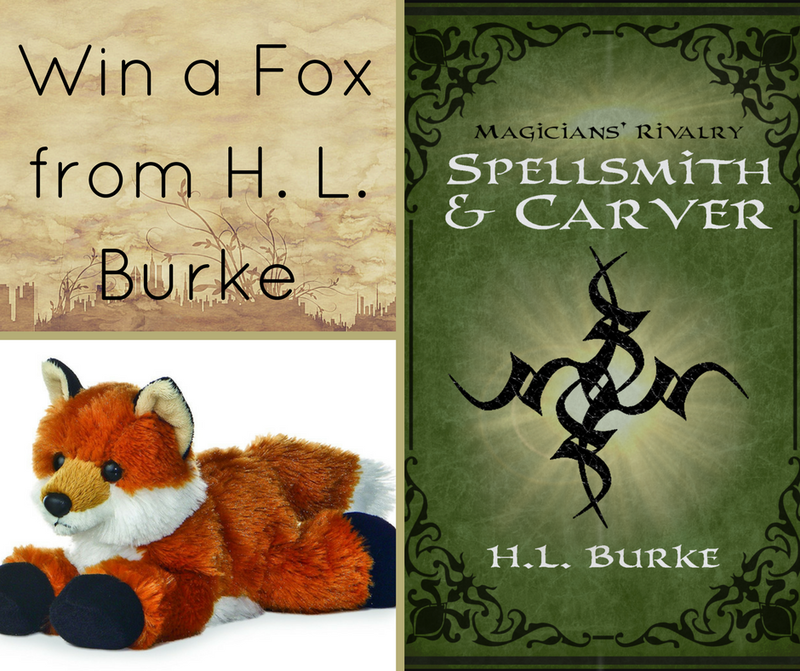 I already have a copy of Spellsmith and Carver, so I'm going to refrain from entering (though a fox plushy sounds very fun). You could always gift the second copy to a friend ;). I'll take a look! Sort of been crazy here lately (cat related stressors, mainly) . Books make the best gifts. I was planning to sign this one, so ... you can choose which copy is "yours"
Thanks so much! Good luck! !